.Hello, I’m Gul khan. 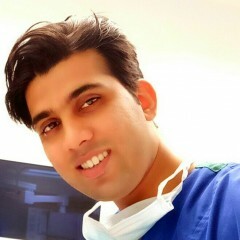 I’m a Nurse living in karachi pakistan. I am a fan of music, travel, and innovation. I’m also interested in cool people but secent. Well that was what a website made a default intro about me according to my interests and tastes. So who am I really? My all time favourite question. I am the only person in this entire world I would love to know thoroughly. I believe life is too short to be serious all the time, so if you cannot laugh at yourself... change your self.. Ill do it for you :p.